We use vetsource.com for our online pharmacy. Click here to check it out. Welcome to our Clinic! 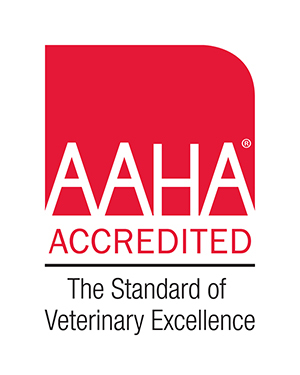 We are a full-service American Animal Hospital Association accredited practice in Stark County, Ohio. We provide general medical care, vaccines, x-rays, lab work, general surgery, dental cleanings and education to you and your furry housemates. Currently we are a three- doctor practice that sees dogs and cats! It is our mission to provide a healthy, happy, and optimal quality of life to our patients. By doing this, we will also provide peace of mind to our clients. We will reach this goal by treating ourselves, each other, our clients, and our patients with respect, honesty, integrity, and compassion. North Canton Veterinary Clinic is a full-service animal hospital and welcomes both emergency treatment cases as well as pet patients in need of routine medical, surgical, and dental care. Our Veterinarians have years of experience treating serious conditions and offering regular pet wellness care. Beyond first-rate pet care, we make our clinic comfortable, kid-friendly, and calm, so your pet can relax in the waiting room and look forward to meeting our doctors and staff. We are happy to offer a number of resources that enable you to learn about how to take better care of your pets. Please feel free to browse our site, particularly the informational articles. The best veterinary care for animals is ongoing nutrition and problem prevention, so becoming knowledgeable about preventative pet care is essential to the ongoing success of your animal’s health. If you have any questions, call us and we'll promptly get back to you. 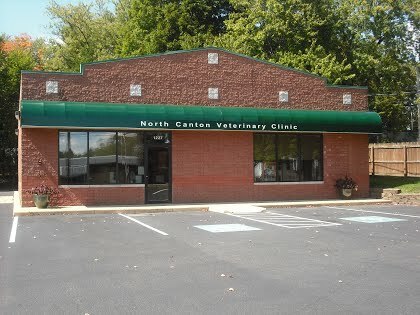 Our North Canton veterinarian office is very easy to get to -- just check out the map below! At North Canton Veterinary Clinic, we treat your pets like the valued family members they are. Dr. Scott Hunter is a native to Stark county and a 1984 graduate of Perry High School. He studied wildlife management and hotel administration during undergrad at The Ohio State University and graduated from The Ohio State University College of Veterinary Medicine in 1992. Denise is our most seasoned staff member starting as a veterinary assistant in March of 1992. Her biology and medical technology classes at Bowling Green along with her vast experience with her own animals (she currently has four cats and a dog) has built the foundation for her career at NCVC. After attending classes at Kent State Stark, Sharon began her career at NCVC in November of 1993 as a veterinary assistant. When phoning the clinic, it is often Sharon’s voice that you will hear first. A passionate cook, she enjoys her time in the kitchen trying new and different foods. Dasha began her work in the veterinary field in 2000. She joined the staff at NCVC in October 2003 while attending classes at Cuyahoga Community College. She graduated the following May receiving her Associates Degree and passing her licensing exam to become a Registered Veterinary Technician. January of 2005 brought Angie and her varied animal experience to NCVC. Her twelve plus years in the field of veterinary medicine have included companion animal, exotics and working at an emergency veterinary clinic. Angie has a passion for horses and enjoys horseback riding when time allows. Ashley joined the practice in August of 2010. She received her Veterinary Assistant certificate from the North Coast Training Academy in 2008 and has honed her nursing skills as a residential aide in an assisted living home in previous years. Annette is the newest vet tech in the practice. She graduated May of 2017 with her Associate's Degree in Veterinary Technology and passed her exam in July, allowing her to become a Registered Veterinary Technician. Her family currently has 3 dogs, a cat, and a horse named Waylon. "We are so thankful for everyone at North Canton vet. Dr. Allerding and Dr Hunter along with Sharon, Denise and all of their staff is wonderful! We truly believe that they care about our pets and us." "Can't say enough about how great they have been to our family of pets for over 20 years. Only wish they were able to care for humans too! We always feel the best care is given to our pets both cats & dogs. Office is very clean, always accommodating, every one make you feel you pet/pets are extremely important. They are all very understanding to our devotion to our pet family." "Great veterinarians! Both vets are amazing diagnosticians and are able to diagnose pets ailments quite readily. Great personality in the staff as well. We bring all our pets there for years and we have been rescuing many pets. These guys are great!!! I highly recommend them to anyone!!!" "I never have a hard time making an appointment. Both vets are very nice and helpful and genuinely care."